Mr Zhao’s Chinese language learners from Italian, heat can not block their learning enthusiasm ! Summer, in this hot summer,I believe many people holding watermelon, open WiFi, blowing air conditioning at home and enjoy the comfortable life, however, there are still a lot of people work hard for their dreams and never give up.For example,Mr Zhao from mandaringarden,a teacher with Chinese language, and those foreign students from Italy.The heat of summer can not stop them from sticking to their work and their enthusiasm for learning Chinese language. Do you have any doubt that why these foreigners are learning Chinese on such a hot summer day? What motivated them to learn Chinese language? During this summer, Mr Zhao felt their passion for learning Chinese language. 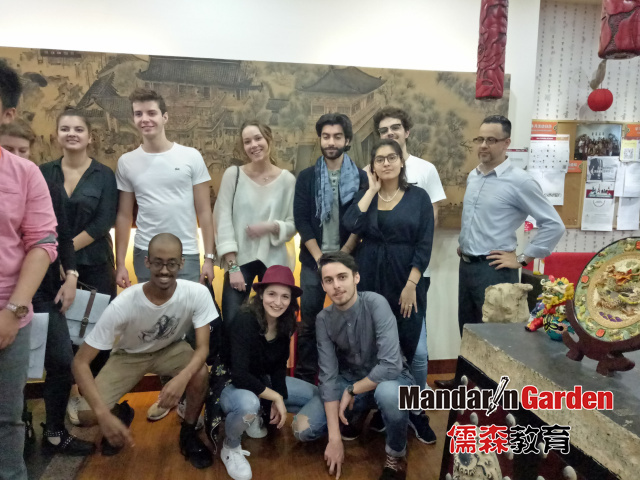 When the students from Italian came to Shanghai,in the scorching sun,to attend the Chinese summer camp held by mandaringarden, the summer memory began here. In order to help these foreigners get rid of the hot, mandaringarden prepared the facilities of the camp for these Italian students,the indoor class full of Chinese elements, in addition,the basketball field is available,they can enjoy the museum and other places.And Mr Zhao has a heavy responsibility and plays a major guiding role in these Chinese language learning. In order to make these Italian students interested in Chinese language,and enjoy the Chinese civilization, Chinese culture is an indispensable topic.Mr Zhao arranged many colorful historical and cultural activities, they all interested in, and teaching foreigners to learn Chinese language in this mobile type teaching way is popular.Chinese fans can enjoy the beautiful rivers and mountains of China with it’s broad and profound history and culture. 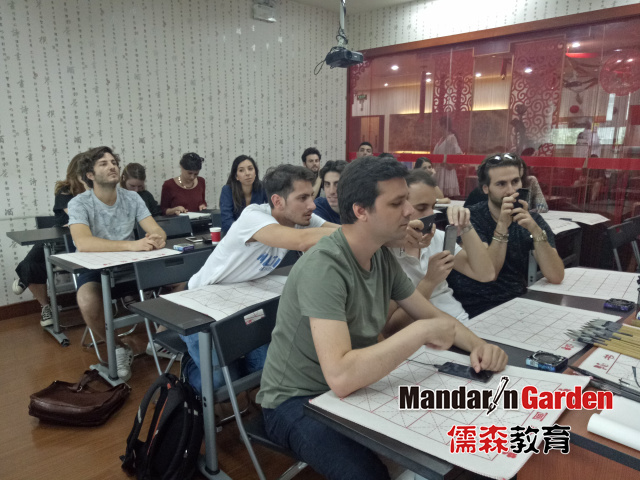 Compared with the traditional classroom teaching, mandaringarden’s Chinese summer camp can stimulate the interest of learning Chinese language, however, in order to mobilize the enthusiasm of Chinese learners, just visiting scenery is not feasible. 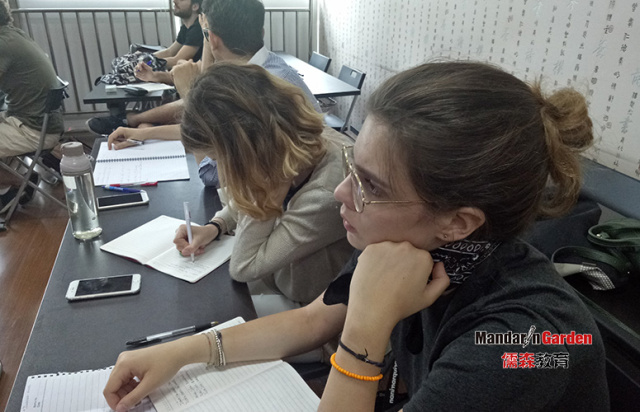 The summer camp is a semi closed teaching mode, advocates learning by playing, this relaxing and lively teaching environment, imperceptibly increase this Italian basic cultural knowledge, enhance the sense of identity of Chinese traditional cultural, to cultivate interest in learning Chines language. You may wonder why do this specially arranged? In fact, what is the results of learning Chinese language for foreigners,the importance is the arrangement in the classroom.But students’ learning time is extremely limited, how to make the foreign learners make full use of short training time to learn Chinese language? Blindly pursuing efficiency will only backfire. Therefore, we should pay attention to training their interest first.